Check this Best Sun Peaks News page often for updates about Sun Peaks Resort or for special offers and trip advice when planning a Sun Peak Resort vacation any time of year. Special offers are also added regularly to our Best Sun Peaks Facebook page so please Like, Share, and contribute information to our interactive Best Sun Peaks website and Best Sun Peaks Facebook page. We are also @bestsunpeaks on twitter and #bestsunpeaks on Instagram - please follow along for up-to-date Best Sun Peaks News. 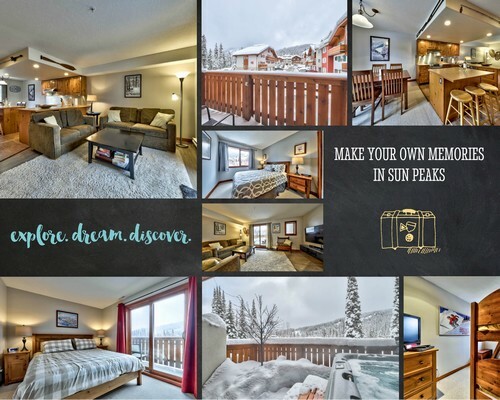 Also check out Sun Peaks Vacation Rentals Direct From Owners for best prices on Sun Peaks accommodation direct from owners or Top of the Mountain for 70+ managed properties with our special 10% affiliate discount. 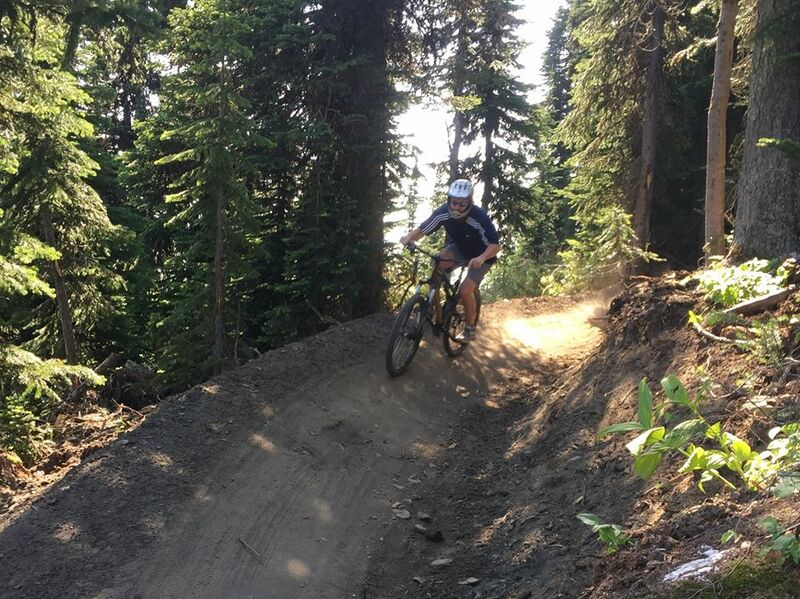 Part of the Sun Peaks 2019 expansion plans includes the spending of an additional $350,000 in Bike Park trail upgrades, which will provide even more and better trails for beginners all the way through to experts to enjoy. 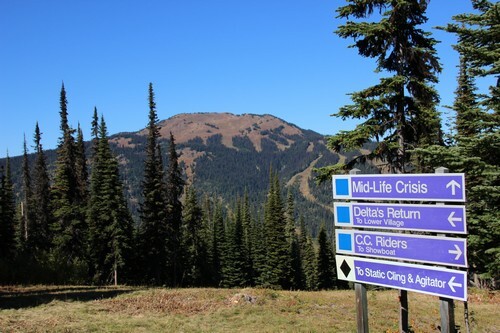 Lifts for Sun Peaks hiking and biking start turning June 21, 2019, and discount hiking and biking lift passes are now available through Liftopia. With miles of free cross-country bike trails to enjoy once the snow has melted, as well as spectacular lift-accessed mountain bike trails with lessons for bikers of all abilities, you will certainly want to bring your bike or rent one while here for your Sun Peaks summer holiday. And the hiking - wow! Beautiful vistas and colorful wildflower meadows are available for hikers and photographers of all abilities to enjoy. Book your Best Sun Peaks accommodation today! We are pleased to be the first owners to list their Sun Peaks properties on HouFY (House For You), a new community-based vacation rental listing site that provides an easy to use, unique and enhanced way to list or find vacation rental properties around the world. It is similar to VRBO/Homeaway and Airbnb, except better since there are no booking fees or communication restrictions, which will save you 10% or more. There are already thousands of vacation rentals world-wide listed on Houfy direct by owners, as well as thousands of travelers that are starting to realize how great Houfy is. Houfy is easy to use and you can save money on thousands of properties around the world and book your vacation rental direct with the verified owners using this growing rental community platform. 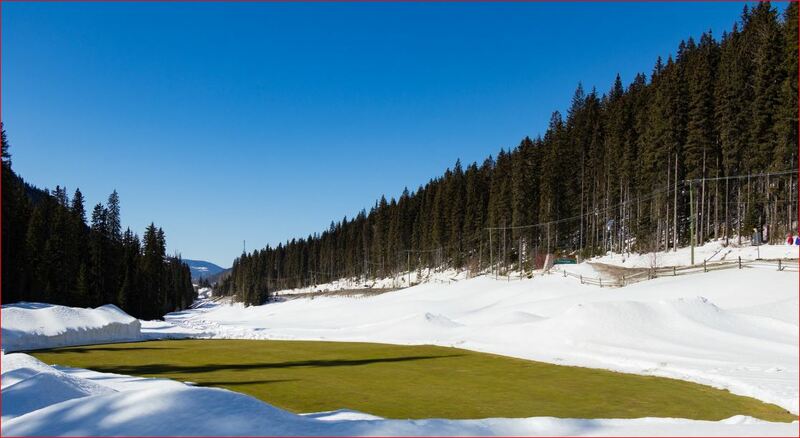 While many are still enjoying spring skiing conditions here at Sun Peaks, the Sun Peaks Golf Course crew are already hard at work preparing for another fantastic golf season. 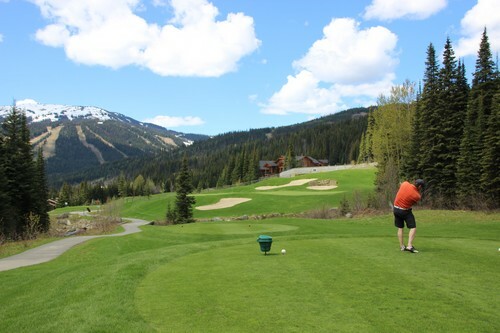 With the highest tee in British Columbia, beautiful views, relaxed golfing, and 18 challenging holes, the Sun Peaks Resort Golf Course makes for a great summer golf vacation location. 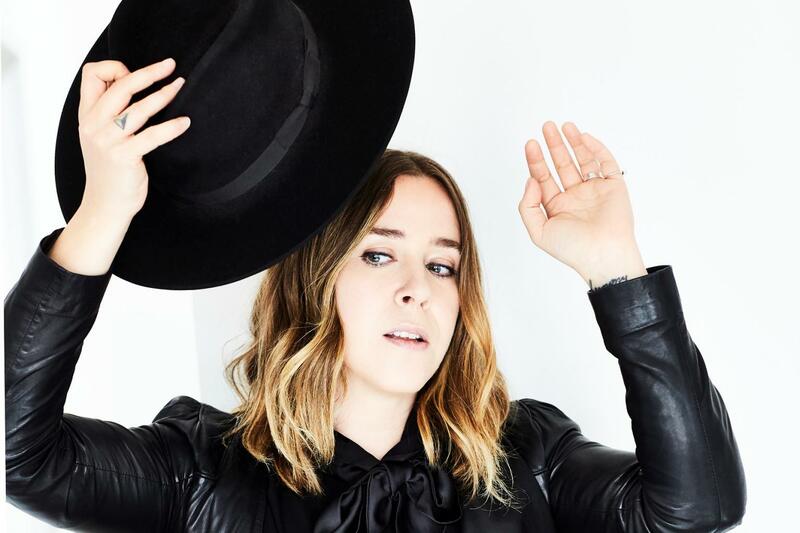 The first (and maybe only) of the 2019 FREE Sun Peaks Summer Concert Series was announced, with Canadian singer-songwriter Serena Ryder performing live on Saturday, July 27th slopeside at the Annex. Serena Ryder has won six Juno Awards and her single “Stompa” is 4x platinum in Canada. “Stompa” also hit No. 1 at AAA radio in the U.S. for eight weeks and landed in the Top 10 at Alternative radio, Hot AC and AC. Serena has shared the stage with OneRepublic, Kanye West, Sara Bareilles, and more. Other popular hits include Got Your Number, What I wouldn’t Do, Electric Love, Little Bit of Red, and more. With so many Sun Peaks family-friendly summertime recreational activities available right from your doorstep, now is the perfect time to plan a week-long summer vacation. Book your Best Sun Peaks Vacation Rental direct from owner now for best selection and pricing. - This optional membership is being offered exclusively to owners at ELEVATION. In addition to reservation management, key turnover, advertising, marketing, collecting payment, cleaning services, 24 hour reception and maintenance support, owners who enroll in this membership will enjoy access to the Sun Peaks Grand pools and health club / fitness centre and numerous other owner benefits. 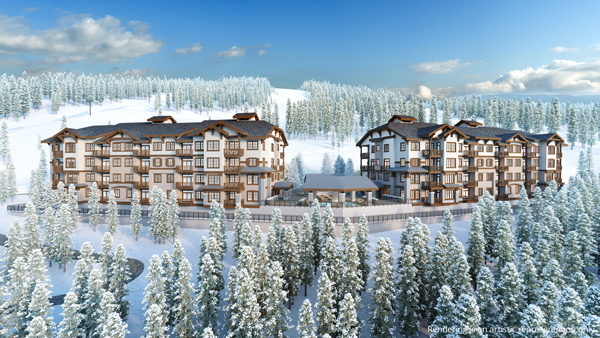 Click to learn more about Sun Peaks Real Estate and to register for Elevation purchases before this development is sold out too. 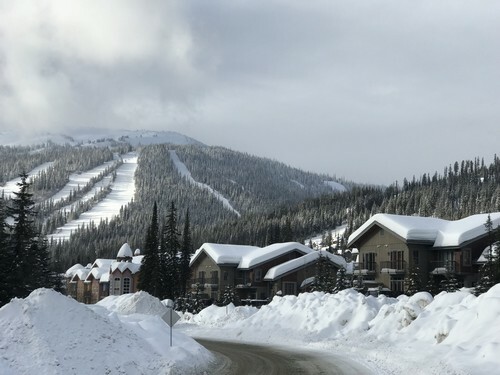 Fans of Sun Peaks were thrilled when world famous National Geographic recently recommended Sun Peaks Resort as a "Best Winter Trip" in their 2019 publication. Book your discounted Sun Peaks lift passes in advance to save up to 40%. The highly anticipated Orient chairlift opened on schedule in time for Christmas at Sun Peaks Resort. 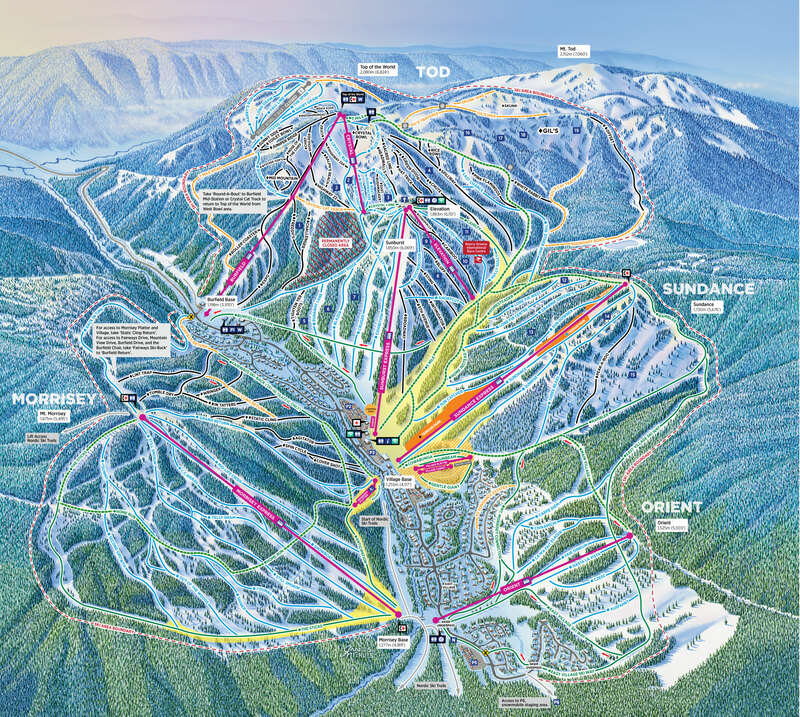 The $4 million project located in the east village area of the resort is a four passenger, fixed grip chairlift built by Doppelmayr that will provide significantly improved skier access to the main village core as well as existing ski terrain on Sundance Mountain. The new chairlift now provides guests staying in Trapper's Landing, Stone's Throw, and Trail's Edge with even better ski-in/ski-out options in Sun Peaks, with minimal line-ups to worry about. With the choice of the Orient Chair or the Morrisey Express, our Best Sun Peaks accommodations are perfect locations for your ski vacation. It's Not Too Early To Start Planning For Next Christmas! Sorry but not sorry - even before this Christmas arrives, our BestSunPeaks Stone's Throw condo has just been booked for Christmas/New Years 2019/20 by another wonderful family from Australia. So if you want to be able to lock in the Best Sun Peaks Vacation Rental for your next Christmas and holiday season, it's certainly not too early to start thinking about next year already! 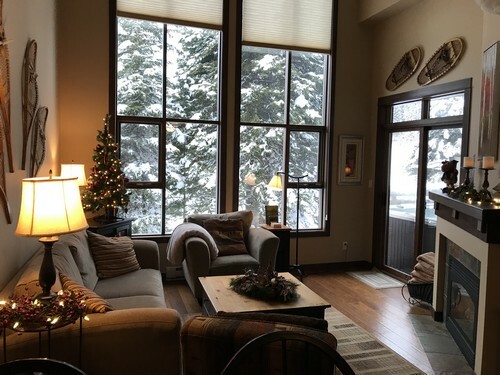 Our friends still have January 1-4, 2019 open for a three night New Year get-away in their Trail's Edge Townhouse. This is a great deal since most holiday period rentals are typically for 5 nights or more. Other great dates remain but are booking up fast, with excellent snow conditions and the new Orient chairlift set to start running before this Christmas. Book direct with our trusted owners and save 10 - 15% on your Best Sun Peaks accommodation, and save up to 40% on your Sun Peaks lift passes by purchasing online and in advance. Have a wonderful and safe Christmas and Happy New Year everyone!! We are pleased to add The Fox And The Hound 3 bedroom Crystal Forest Sun Peaks Townhouse to our growing list of Sun Peaks Vacation Rentals available direct from owners - avoid the booking fees and book direct. This unit in Crystal Forest is family-friendly, pet-friendly, clean, cozy and very comfortable. The owners, Courtenay and Fox, work hard to ensure their Sun Peaks home is kept very clean and well stocked and do their best to ensure you have a Best Sun Peaks Vacation! We are pleased to now be able to offer you top-notch owner direct accommodation in Stone's Throw, Trapper's Landing, Trail's Edge, Timberline Village, Village Walk, and Crystal Forest at Best Sun Peaks pricing, as well as access to discounts at more than 70 other Sun Peaks Vacation Rentals. Also available are custom metal signs & decor items, custom wood signs & decor items, custom vintage ski signs, custom ski and cabin decor items. Their operating license is somewhat unique, in that they are allowed to pick-up and/or drop-off anywhere in British Columbia. So they will be operating in and around Sun Peaks Resort on a regular basis, but can also be hired to pick passengers up at Kamloops or YVR/Vancouver Airport, take passengers to/from Whistler, Big White, Silverstar or another ski resort, or just about anywhere in BC. With only one and sometimes two taxis to start, be sure to book in advance, and be sure to support these locals so they continue to grow! It is the name of the newest intermediate/blue run at Sun Peaks, and goes directly under the new Sun Peaks Orient Chairlift. It starts at an elevation of around 1,525 meters (5,003 feet) and takes you back to either the Orient or the Morrisey Express chairlifts. These additions brings the total # of trails to 137, spread out over 4,270 acres of beautiful skiable terrain. The Orient Chairlift opened December 24, 2018. The base is located right across from Stone's Throw and Trapper's Landing. Time to order your discounted Sun Peaks lift passes (and hundreds of other ski resorts) now! 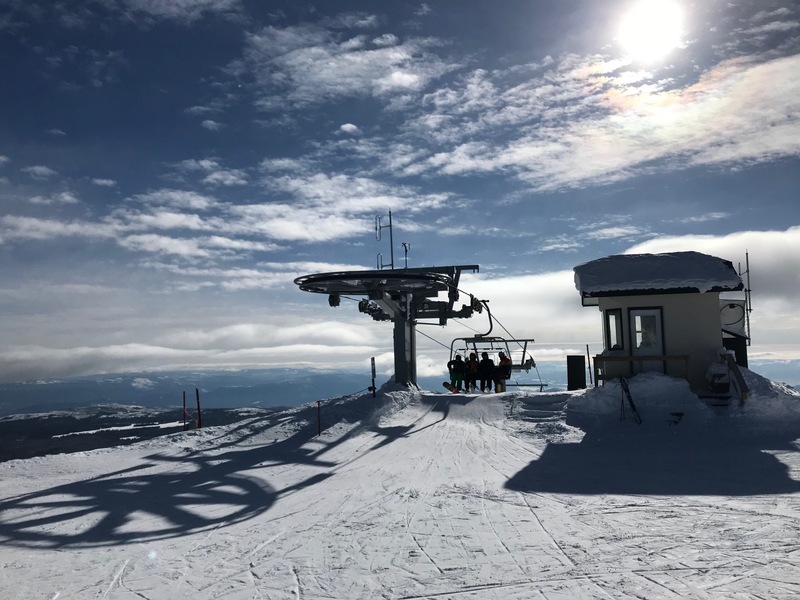 - The Sun Peaks 2018/19 ski season and most winter activities opened on Saturday November 17, 2018. - The Best Sun Peaks discounted lift passes are available online ahead of time via Liftopia. Book online and early for best pricing. - The new Sun Peaks chairlift, currently known as the Orient Express, is set to open by the beginning of the 2018 holiday season, providing amazing ski-in and ski-out access from Stone's Throw, Trapper's Landing, Trail's Edge and other East village accommodations. - Prime dates and owner-direct rates for Best Sun Peaks Vacation Rentals are still available. Book before October 1, 2018 to save 11% on new taxes that are coming into effect for individual property owners. 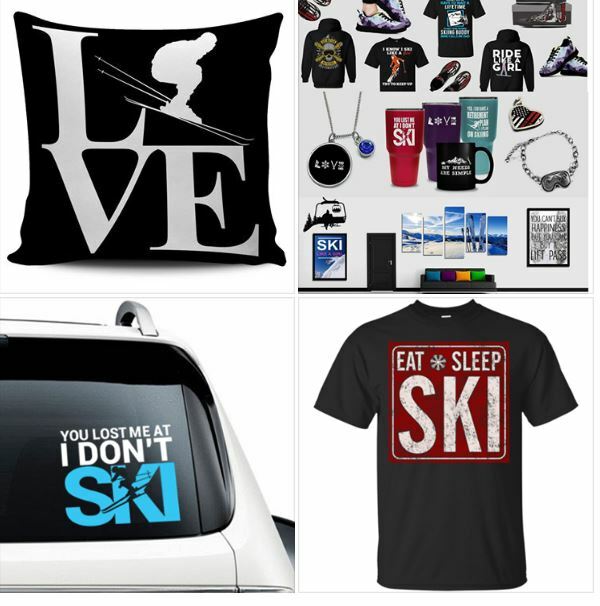 - Discounted Sun Peaks ski and snowboard rental equipment packages are available online through Sun Peaks retailers such as Jardines, McSporties, or Free Fall, or discount Liftopia ski equipment packages where the earlier in advance you book, the more you save. 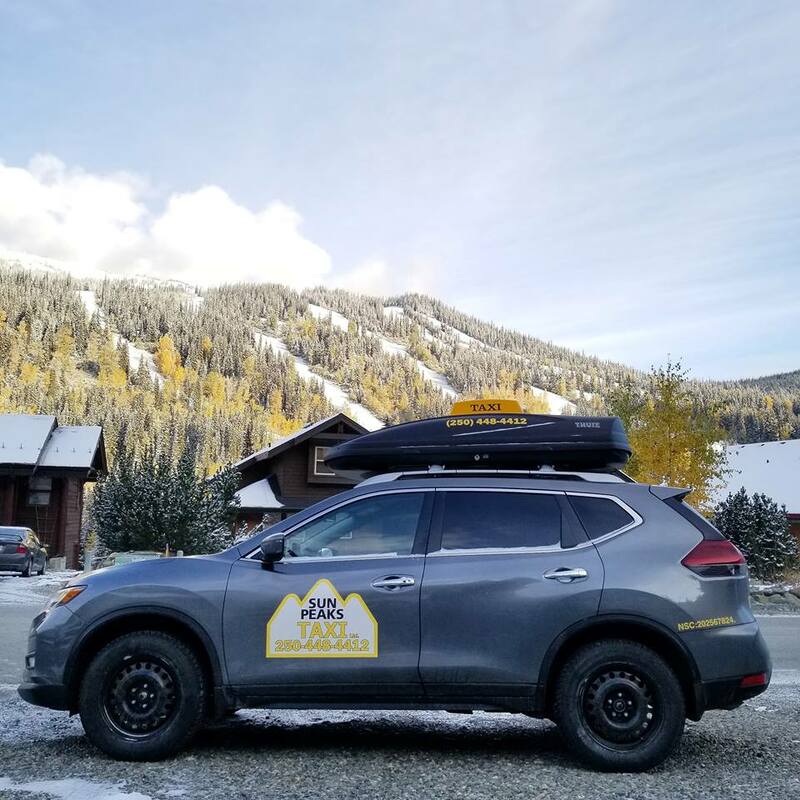 - Winter tire rules for driving to Sun Peaks come into effect October 1, 2018. Best Sun Peaks single and multi-day lift pass prices for alpine skiing, nordic skiing and discounted equipment rental packages are now available through the Sun Peaks Liftopia lift pass online booking platform. The earlier in advance you buy your lift tickets, the more you save, with the best savings coming in around 40% off the walk up ticket price. 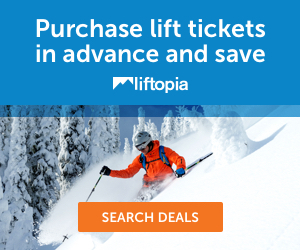 Liftopia offers discounted lift passes for Sun Peaks resort, as well as hundreds of other ski resorts throughout Western Canada, North America, and the world. Click our Liftopia link to see if they can save you money wherever you may be planning on skiing this year. As the date gets closer, there are lower or even no discounts available so it pays to plan in advance. Aerial view (taken from our Alpine Blossom Festival helicopter tour with Okanagan Mountain Helicopters on July 28th) of the new Orient Express chairlift, and as you can see by looking up the hill on the left, the chairlift route has been cleared and new runs are being built up top. Now this is exciting! The new chairlift will load right by the Umbrella Cafe (right across from Trail's Edge, Trapper's Landing and Stone's Throw, and will provide access direct to the village via Sundance Mountain, in addition to the nearby Morrisey Express. 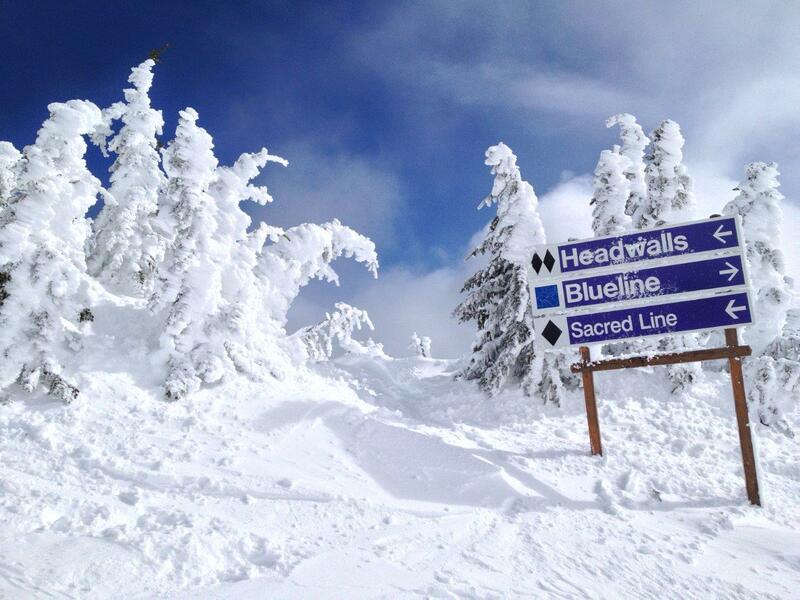 Ski-in and ski-out access from these Best Sun Peaks accommodations will be awesome!! Our Sun Peaks vacation rentals are booking up already for the 2018/19 ski season so if you are planning on a Sun Peaks ski vacation, you may want to book your dates now to avoid disappointment! Remember to book prior to October 1st, 2018 to avoid the new provincial and municipal sales taxes (11% in total) that will affect independent vacation rentals (hotels and managed properties have already been paying this tax). Please note that effective October 1, 2018, ALL short term Vacation Rentals in BC are required to charge 8% Provincial Sales Tax (PST) and some the 3% Municipal Regional District Tax (MRDT). Previously all owners with less than 4 vacation rental properties were exempt from these Provincial taxes. This will effectively increase the cost of your next Sun Peaks holiday by 11%. ACCOMMODATION SPECIALS: Our Trapper's Landing townhouse and Stone's Throw condo back onto the 16th fairway, the highest elevation tee in BC. Beautiful scenery, quiet location, and private hot tubs. 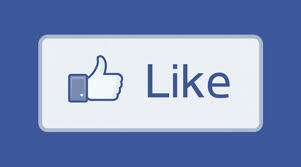 Mention this post and we will give you 10% off our posted rates. YOUR BALLS FLY FURTHER: Higher air means thinner air, so up here at BC’s highest elevation golf course your ball will fly further with no extra effort on your part. Sure, the distance gains may only be temporary, but it’s still a blast to let the big clubs rip at 1,200m above sea level. COOL, COMFORTABLE TEMPERATURES: Sun Peaks is often up to ten degrees cooler than nearby Kamloops, where mid-summer temperatures regularly hit a scorching 35°C. Cool breezes, fresh mountain air, and an all-natural high. HOLES FOR ALL LEVELS: The shorter, narrower front nine for the precision golfers (in reality or in their dreams), and the longer, wider fairways that curl around the East Village on the back nine. Something for everyone and a great 19th hole with amazing patio views for all. BC’S HIGHEST ELEVATION TEE: Hole 16, surrounded by Stone's Throw and Trapper's Landing, is our favorite hole. The elevated tee deck is perched at 1,333m (or 4,353 ft for our American friends), earning it the honour of BC’s highest hole, and provides commanding views of Mt Morrisey, the village, and right down the valley. FRESH MOUNTAIN AIR AND VIEWS: The unique ski resort location means the Golf Course is surrounded by a stunning backdrop of thick, lush forests, meandering creeks, and plenty of wildlife, nestled right at the base of our three peaks: Tod, Morrisey, and Sundance. You gotta love those mountain views! FAMILY GOLF PRICING SPECIALS: Great new offers to get the 'hole' family swinging together! SUN PEAKS RESORT-STYLE SUMMER ACTIVITIES FOR ALL:Sun Peaks offers activities for all ages and athletic abilities. Cross-country trails or lift-accessed biking and hiking trails, kayak, canoe or stand-up paddling nearby, winery tours, Sun Peaks Craft Brewery tours, spa treatments, segway tours, trout fishing and free outdoor concerts are just some of the ways you can spend a day in Sun Peaks. 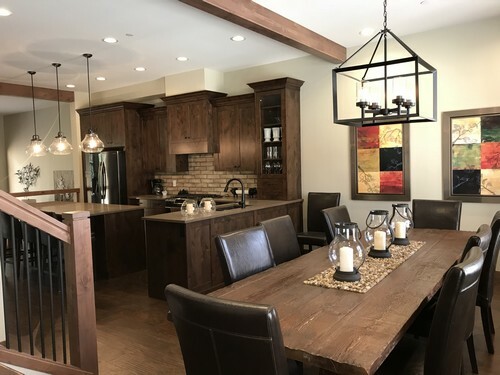 We are pleased to be adding this beautiful, brand new, 4 bedroom (3 bedroom + flex room), 3.5 bathroom, luxuriously upgraded Village Walk townhouse with hot tub, in the convenient and centrally located Village Walk complex to our list of available Sun Peaks Vacation Rentals By Owner. Book this beautiful Village Walk Vacation Rental direct with the owners, Lisa and Bill, and save. - Barbeque and private hot tub. Click for more information about booking this new and other Best Sun Peaks accommodation. Exciting news for those waiting to see more Sun Peaks expansion and improved access from the Eastern areas of the resort, with the announcement on March 28, 2018 that the new Orient Express chairlift will be ready for use in December 2018. This new fixed grip, quad lift will take skiers from an area near the existing Umbrella Café, up over the 16th Fairway (Morrisey Connector in winter) right in between our Stone's Throw condo and Trapper's Landing townhouse, up to a new arrival point just above the East Village Skiway. From there, skiers will have easy access to a number of runs including Carpe Diem, Chikamichi, Fair Dinkum, Czesc and Ausfahrt on Sundance Mountain, can ski down and then enjoy some runs on Morrisey, or have exciting new direct access back to the village via a green run that will lead to either Rambler or Sundance Return. Engineers have already started mapping out the route for this new $4 million project, which will begin the anticipated expansion to the popular eastern areas of the resort. Read more about the Sun Peaks 2018 and beyond expansion plans. Exciting times ahead for Sun Peaks! For more information, see the official Sun Peaks Orient Express Expansion announcement. The first of the Sun Peaks 2018 Expansion plans was announced March 9, 2018 with the improvement and expansion of the existing Sun Peaks Sport Centre which incorporates the new NHL-sized ice rink installed recently. 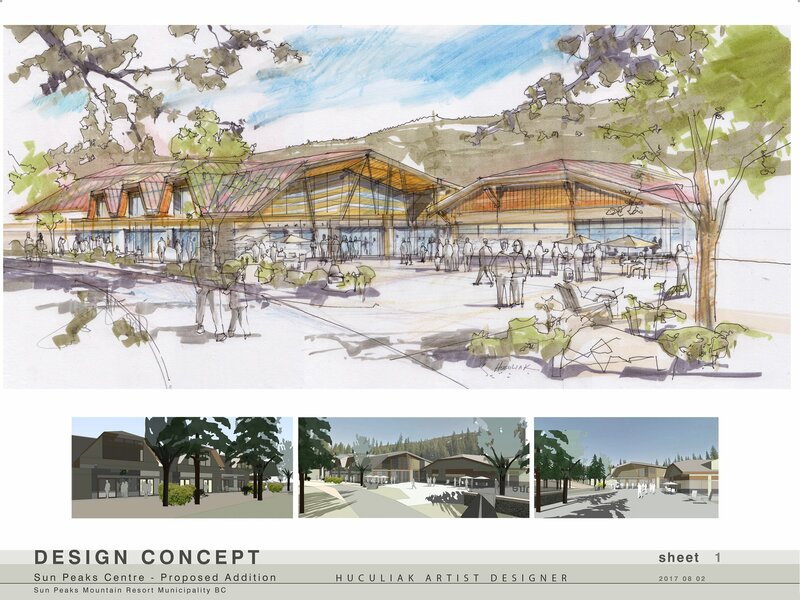 The expanded and improved, all-weather, multi-purpose facility will include a multi-purpose indoor facility capable of hosting up to 3,000 participants, enabling Sun Peaks to host additional concerts, large sporting and recreational events as well as corporate/association trade shows from May to November. The improved centre will be constructed thanks to $6 million in Federal Gas Tax Funding and will also provide additional facilities for Sun Peaks’ growing residential community. There was also some talk by Chief Oliver Arnouse of the Little Shuswap Indian Band of the long-awaited road connecting to the Shuswap coming soon too - bring it on! 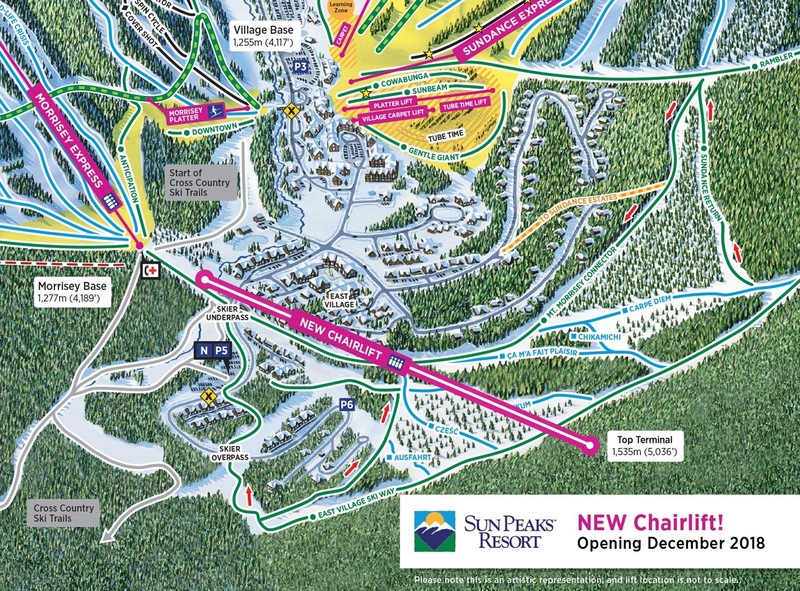 Click for more on the Sun Peaks 2018 Expansion plans. 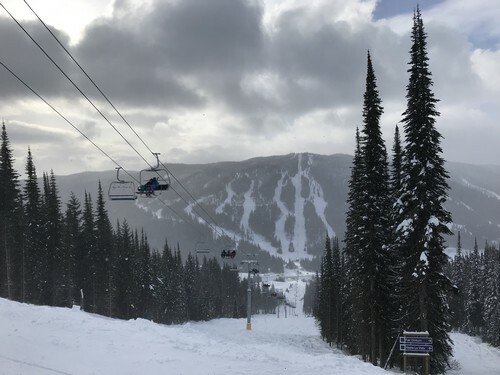 Getting from the village base to the Top of the World may be easier soon when the first project of the $30 million in Sun Peaks Expansion begins. 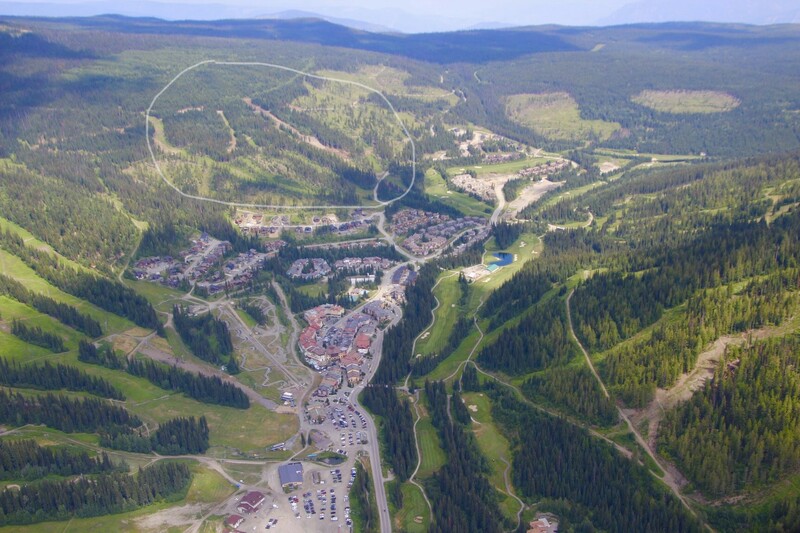 - more Sun Peaks real estate projects with single and multi-family properties, and other projects. More growth details on our Sun Peaks Expansion 2018 page and announcements from Sun Peaks Resort are expected soon. Conveniently Located Timberline Village Townhouse with 3 Bedrooms, Sleeps 8, 2 Bathrooms, 3 Patios, Private Hot Tub, Family-Friendly and Ski-in with Easy Ski-out. Newly added to our list of Sun Peaks Vacation Rentals By Owners is this recently-updated 2 bedroom townhouse in Timberline Village. With a great location right by the Sun Peaks skating rink and Sun Peaks swimming pool and tennis courts, (open in summer) this is a great place for your Sun Peaks summer vacation. Book direct with the owners and save even more on your Sun Peaks Vacation Rental! Discover where the locals go when they want to find the best stashes of fresh, untouched powder, gladed back-country trails, off-piste skiing, and beautiful terrain that is now avalanche controlled and patrolled. 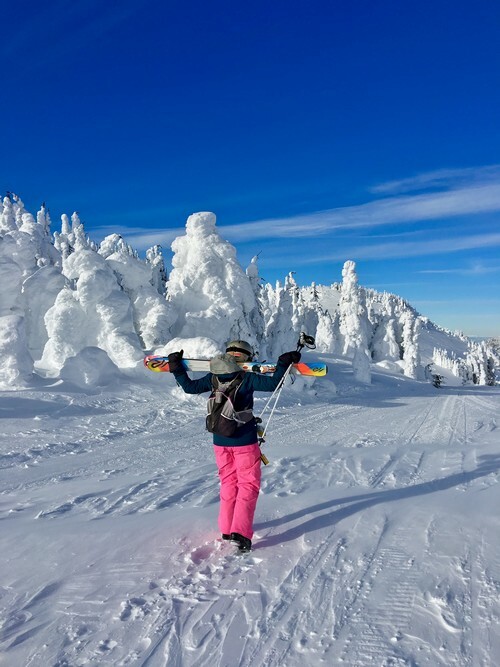 Learn how to find the best runs, ski in delightful, Okanagan champagne powder, and prepare for some nearby cat skiing or spectacular heli-skiing. 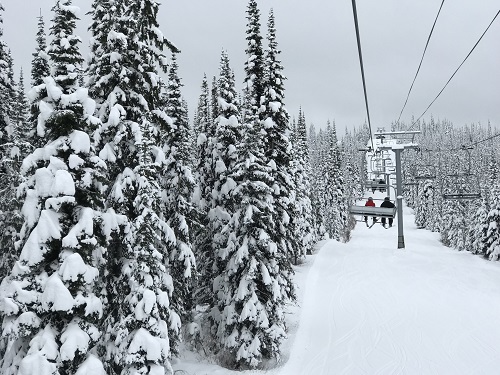 Previously considered out of bounds, the Best Sun Peaks Powder and off-piste area was incorporated into the Sun Peaks Resort ski boundary area in 2014/15 which helped establish Sun Peaks as the second largest ski resort in Canada. Long considered a secret stash by the locals, more and more intermediate to expert skiers are discovering that this short little hike leads you to some amazing back-country-like terrain, all within the patrolled boundary of Sun Peaks. Guided tours and powder skiing/off-piste skiing single-day and multi-day lessons and camps are available. - Other vacation rental properties offered at Best Sun Peaks discounted prices by Top Of the Mountain including condos, townhouses and full-size Sun Peaks homes and chalets. 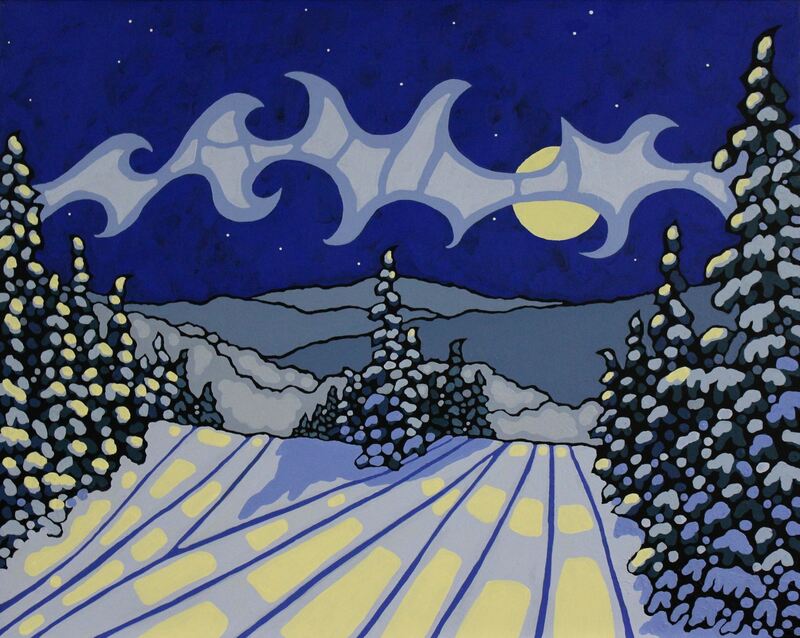 Here is something fun and a uniquely "Sun Peaks" experience - Sun Peaks Paint Nights with a very popular local Sun Peaks artist, Liz Derksen. If you are in or close to Sun Peaks... here is something fun to do by either joining in with an existing group, or putting together your own group of friends or family members and arranging for a private paint party. 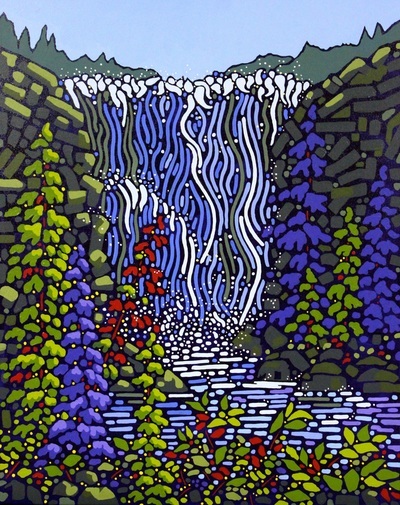 Group or custom/private, in-studio or in your Sun Peaks accommodation - Sun Peaks Paint nights are a fun way to create a beautiful memento of your Sun Peaks vacation. 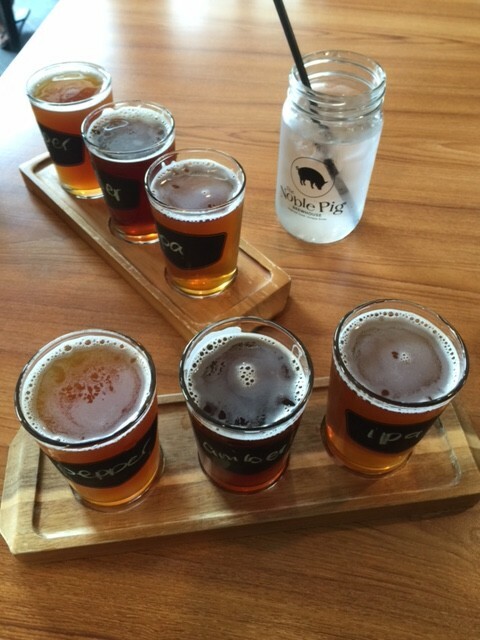 Sun Peaks craft beer & winery tours are for those who love wine. Or beer. Or better yet, both! Divine Tours from Kamloops is offering a fall craft beer and local Kamloops winery tour, with pick-up and drop-off available in Kamloops or at your Sun Peaks Resort accommodation. Put together your own group or join in an existing group, and enjoy some of the finest local wines around along the burgeoning Kamloops Winery Trail, and some tasty craft beer from two of the most popular local breweries in Kamloops - The Noble Pig and Red Collar Brewing. There are 5 new craft breweries in Kamloops now. Perhaps you will even experience the extraordinary Kamloops Hoodoos as you travel to Harper's Trail Winery, and then carry on to the beautiful Monte Creek Ranch and Winery, and your tasting fees for both are already included in your price. Just one of many fun, fall activities to do while enjoying the beautiful outdoors at Sun Peaks Resort during the quiet, fall season. Enjoy all three with a custom Okanagan winery and waterfall tour with pickup and drop-off available right from your Sun Peaks accommodation. Available Spring through fall subject to availability. Great fun individually or as a group - explore local Kamloops wineries or travel further to the southern Okanagan. Just one of many fun Spring Activities available now at Sun Peaks Resort. Like beer? How about a Craft Brewery tour instead or also? While there are no wineries at Sun Peaks Resort itself due to the elevation, certified and experienced tour operators from Kamloops can now arrange to meet in Kamloops or even pick up and return guests right from your Sun Peaks accommodation during late spring to early fall for Sun Peaks Winery and Waterfall Tours. 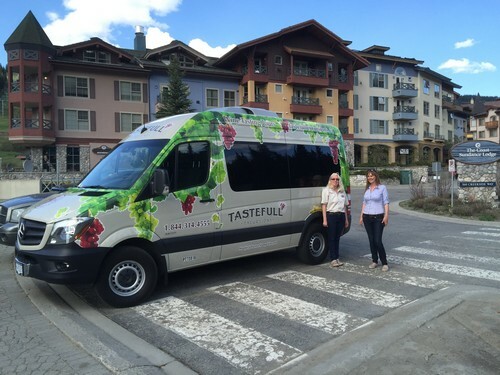 Our preferred tour operators can customize a tour to visit selected wineries, local waterfalls (there are two in the area) popular Kamloops brew pubs, a cider mill, and/or trendy café’s and restaurants. Half-day or full-day tour options are available from Kamloops or Sun Peaks, and visitors can experience popular or quickly-becoming popular wine producing areas. Add on some golf, a massage, or other popular Sun Peaks Summer activities and have a wonderful Best Sun Peaks get-away. Check out our luxurious Stone's Throw Condo or Trapper's Landing Townhouse or other Best Sun Peaks Vacation Rental By Owner options. Once again, Sun Peaks Resort is one of the Top 10 ski destinations in Canada as voted by Canadian Living. Whistler Blackcomb, Fernie Alpine Resort, and Kicking Horse Mountain Resort also made it into the top 10. And for those in the lower mainland or in Washington State who are looking for snow, we found lots at Sun Peaks!! Save your ski season and save some money - head to beautiful Sun Peaks where the season has been extended until April 12th. Head up the hill to chill at Sun Peaks Resort. 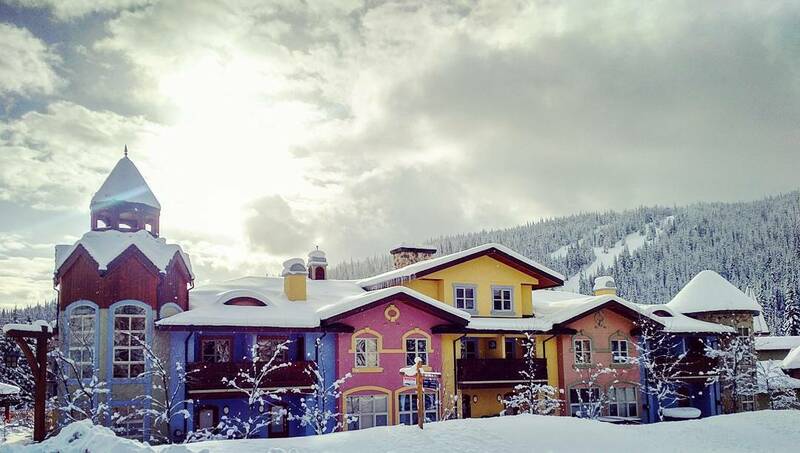 New for winter 2014 is the Sun Peaks Spa Express – located very conveniently in the heart of Sun Peaks Village in the Sun Peaks Grand Residences building on the ground floor. Sister shop to the popular Sun Peaks Spa just around the corner in the Kookaburra Lodge, this express spa is for those who want some pampering but don’t want to spend several hours in a spa, or to have a Sun Peaks mobile massage outfit like Hands on the Move come to their hotel room or vacation rental. Check them out in the village and pamper yourself - you're so worth it!! With the Gils improvements and the expansion of the ski area in the western area of Mt. Morrissey, Sun Peaks has suddenly become the second largest ski resort in Canada in terms of skiable terrain. We hiked back through the popular backcountry area known as Gil’s during our summer hike to the summit of Mt. Tod, and could see that selective clearing was going on, and we are happy to announce the first changes to Gil’s will be ready for the 2014/15 ski season upgrades. Now it’s not as if this is really ‘new’ skiable area, as many locals and adventure seekers have been slipping under the Sun Peaks ski boundary markers for years (most successfully, some not with search & rescue being called out several times a year to find lost skiers). This off-piste, gladed, powder filled Gil's ski area provides a wonderful ski experience for those skilled and trained, and a large section is now included within the patrolled ski area, which should help increase safety. 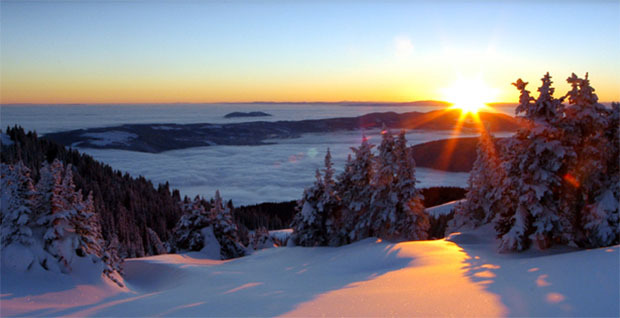 It is considered by locals to b the best area for the freshest and deepest stashes of snow! Things haven’t changed in the Gil’s too much, but the lower portion has been cleared to provide an additional 100 vertical metres which now connects to a new lower boundary trail. The new section isn’t as steep as the upper Gil’s, so boarders may need to work a bit to get to “The Other Way” (Blue run) which will take skiers back to the village. Or you can also still exit the old way further up the hill to the main ski area. By moving the patrolled ski area further out, Sun Peaks gets more varied in-bounds terrain, lost skiers will be minimized, and there is more fresh powder available for skiers that was previously also enjoyed by snowmobilers. This new section is now called Inner Gil's Glades (closer to the resort) and the Main Face Glades (closer to the new ski boundary). For those who want to try this exciting off-piste skiing out but don’t have the necessary skills or safety training, Sun Peaks is offering two new courses this year – 'Beyond the Groomers Camp' (for steep terrain, glades, moguls and powder) and 'All Mountain Skills Camps' – check ‘em out at Sun Peaks What’s New. Mt. Morrissey fall hike with view to Tod Mtn. We just finished a fall hike on Mt. Morrissey and are pleased with the work accomplished this summer. More work has been completed in this one short summer than since Mt. Morrissey opened in 2003 so well done everyone. We are thrilled to hear that our ski-in mountain just seconds away from our Best Sun Peaks condo and Trapper's Landing Townhouse, will be good to go with the new runs by the beginning of the 2014/2015 ski season. It's just too bad I'm not a Black/Double Black skier, yet. The western face now features a new run known as 'Tumble Dry', which has been cut, cleared and smoothed from top to bottomand will be open for the beginning of the 2014/2015 ski season changes. It also now provides clear views of the Double blacks over on Mt. Tod (Burfield area) Freddy's Nightmare and Challenger. You can either ski the full vertical and take the shuttle bus back to the village from Fairways/Mountain View Drive, or the connector further up and take Static Cling (Double Black) back to the Morrissey Express chairlift. Another run, initially dubbed 'F', is now called 'Lint Trap' is being developed as well, but only the top part is ready for this season. Two other runs, dubbed 'C' and 'D' will be partially ready for the 2014/15 season down to the Static Cling connector. We can't wait to hear about the exciting new runs. But hopefully one day the new runs will be better serviced as the resort continues to grow. 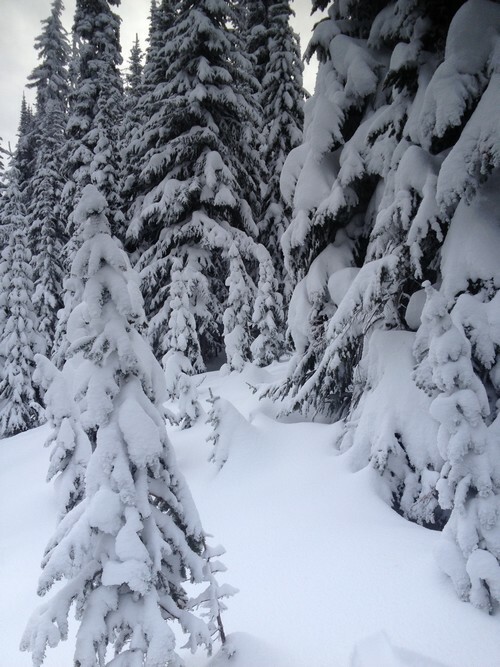 Book your Sun Peaks winter ski holiday now and cross your fingers for the champagne Okanagan Pow to start falling.